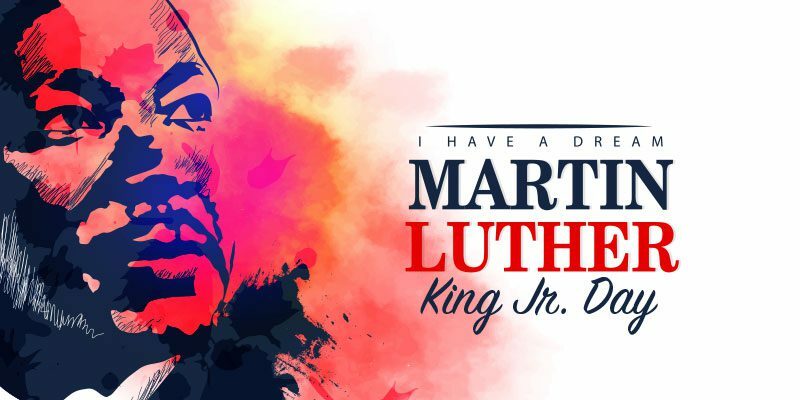 Commit to a day of service, reflection, and growth this Monday, January 21, in celebration of Martin Luther King Jr. Day. 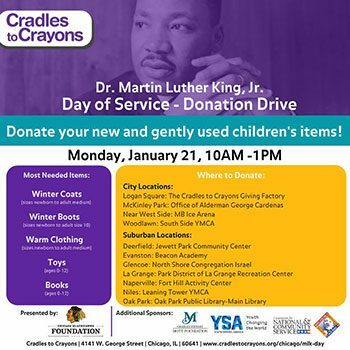 Donate new and like-new children’s essential items to Cradles to Crayons, a nonprofit that provides children living in low-income and homeless situations with the essential items they need to thrive—at home, at school, and at play. Join in conversation with your neighbors. With Barbershop Mondays, the library’s Social Services & Safety team will use a barbershop format to facilitate conversations and connections. In the space, the team will offer free haircuts and, this week, watch and discuss The Untold Truth About the Assassination of Dr. Martin Luther King Jr. Sing along to spirituals, blues, jazz, and freedom songs during this storytelling experience. Discover more about the people who created the music and why it was so important. Best for ages 4+. Explore Dr. King’s legacy around the world with stories and activities. Best for ages 4+. Cultivate social and critical thinking skills, develop research skills, learn about the histories of social movements in the U.S., and gain public speaking experience. Best for youth in grades 6-12.